Every year on Halloween, people spend hours using makeup and props to create scary scars, blood stains and other disfigurations. 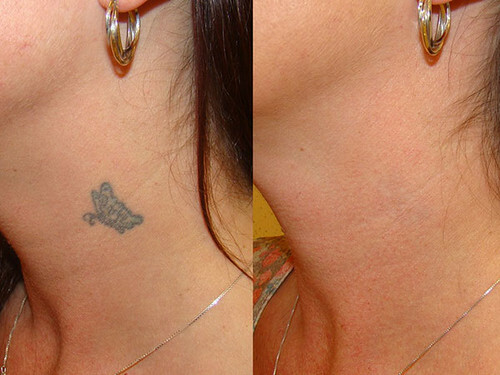 Some of these issues that people try to recreate have a basis in dermatology and skin disorders. Certain myths associated with creatures such as vampires and werewolves can be explained by dermatology. 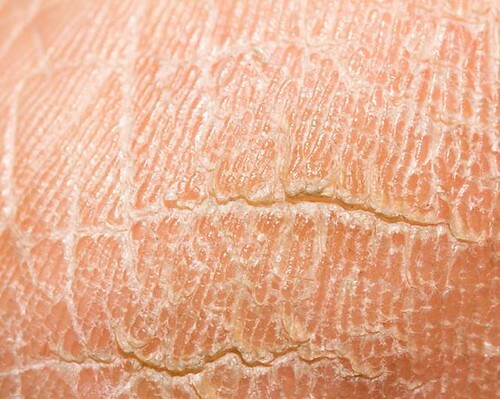 Here, Joel Schlessinger MD mentions a few scary skin disorders and their symptoms. Certain unnatural symptoms could be related to porphyria, explains Joel Schlessinger MD. Porphyria is the name for any condition that causes a buildup of natural chemicals in the body that produce porphyrin. This substance is essential for the proper function of red blood cells. High levels of porphyrin can cause problems for some people and some forms of it can cause sun sensitivity as well. These conditions are generally passed down genetically and they can affect the nervous system, organs and skin. In recent years, we are better able to understand these conditions and realize that this is simply a medical condition, but hundreds of years ago the science wasn’t advanced to know this. Myths about werewolves and vampires were more common and people may have used them to explain certain symptoms associated with porphyria. Joel Schlessinger MD explains some of the “scary” symptoms of porphyria. Sensitivity to the sun and artificial light can be a symptom of cutaneous porphyria. 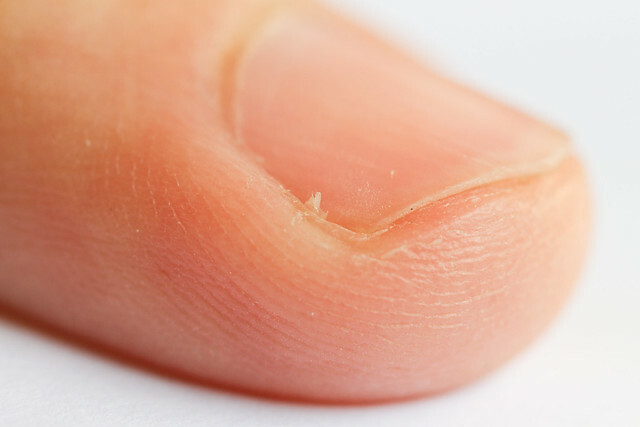 Skin can also become fragile and pale with this type of condition. Conditions like this may have been attributed to vampires who traditionally have an aversion to sunlight. Another symptom that is sometimes present with porphyria is excess hair growth. Hair sprouting up on the arms, face and legs could have been associated with werewolves hundreds of years ago. Because they did not have a medical explanation for the symptoms, people often associated them with the supernatural. 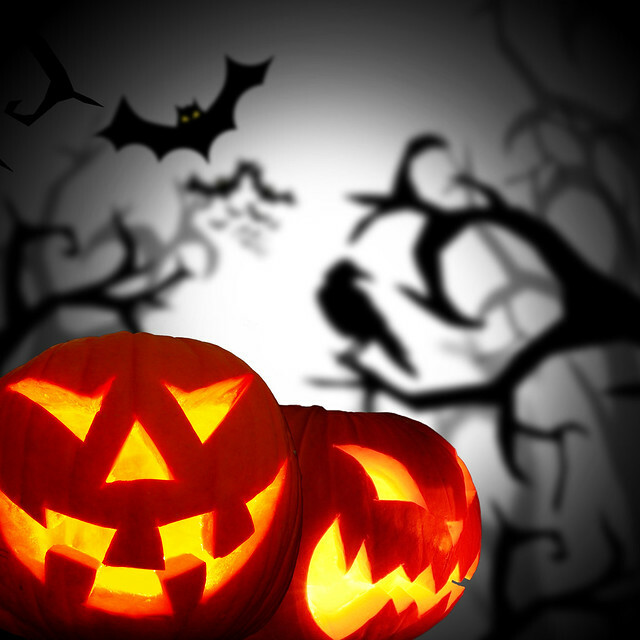 What do you think of the link between these Halloween myths and this medical condition? Heat rash, also known as prickly heat or miliaria, is a red or pink rash that is usually found on areas of the body covered by clothing. Though it’s most common in babies, anyone of any age can develop heat rash under certain conditions. Heat rash is common in hot, humid environments, says Dr. Joel Schlessinger. Heat rash appears in the form of tiny pink or red dots that look similar to pimples. In adults, it is usually found in skin folds and in areas where clothing causes friction. In babies, heat rash typically appears on the neck, shoulders and chest, but it may also show in skin creases, underarms or the groin area. The rash develops when sweat ducts become blocked and swell, which leads to soreness, blisters and often, itching. Heat rash usually begins with excessive perspiration in a hot, humid environment. 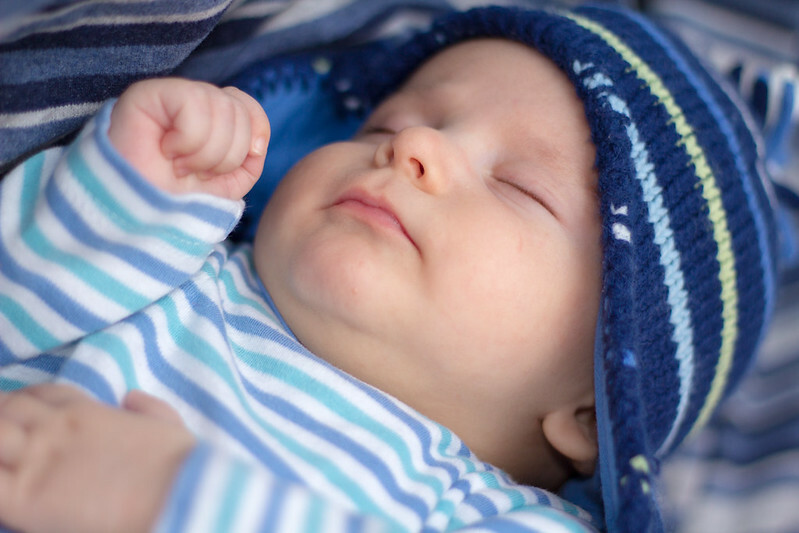 It is most common in infants since well-meaning parents often dress their babies warmly no matter the climate. Those newborns in incubators are also more at risk to experience heat rash. Active adults and those patients who experience a severe fever accompanying an existing medical condition may also be more at risk. Dr. Joel Schlessinger explains different types of heat rash. There are several types of heat rash, and each is diagnosed by the severity of blocked sweat glands. Miliaria crystallina is considered the mildest form, affecting the sweat glands in the top layer of skin. It is characterized by fluid-filled blisters that tend to break easily. Miliaria rubra occurs a bit deeper in the skin and involves red bumps, itching and a prickly sensation. When fluid-filled blisters that often accompany miliaria rubra become inflamed and fill with whitish material, the form is known as miliaria pustulosa. 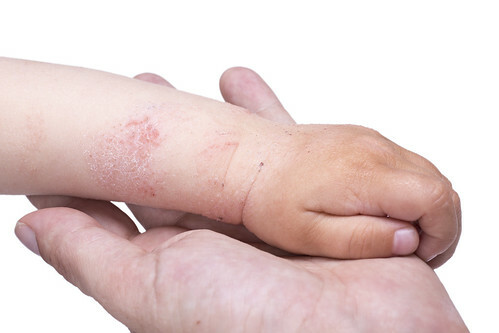 The least common, but most severe form of heat rash is called miliaria profunda. It affects the dermis, the deep layer of skin. In this form, the blocked sweat leaks out of the gland onto the skin, creating firm, flesh-colored lesions that are similar to goosebumps. In rare cases, heat rash could become irritated from the friction caused by clothing and develop infection. Follow Dr. Joel Schlessinger’s tips to treat mild heat rash at home. While heat rash is uncomfortable, it does not usually require medical attention. 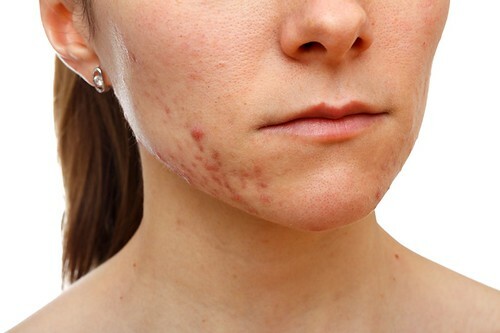 The rash usually disappears on its own in two to three days with no additional side effects. The best way to address a heat rash at home is to keep it cool and try. Let skin air-dry after a bath or shower and avoid any tight clothing or irritating fabrics. There is no need to apply topical treatments, as these could irritate the skin and further block sweat glands. If the rash does not disappear within about four days, or if blisters burst and appear to be infected, see your physician. To prevent heat rash, stay cool when being active outdoors. Limit the time you spend outside, wear loose, lightweight clothing and allow skin to dry if it becomes sweaty. In hot weather, infants should be dressed similarly to adults. Fleece-y fabrics and onesies may prove too warm for comfort, so opt for light cottons and two-piece ensembles when dressing your child. It’s also important to keep your baby cool during sleep, so adjust blanket weight, pajamas and swaddling practices accordingly. Do you have a question about heat rash? Let us know in the comments section.